In collaboration with The Wireless Foundation and Trend Micro Internet Safety for Kids & Families, the new "BeSeen" educational app helps teach kids how to use social networks safely and wisely. Santa Ana, CA– January 5, 2012—Carnegie Mellon's Information Networking Institute (INI) and Web Wise Kids, a national non-profit organization and recognized leader in Internet safety education, announces the launch to the Android Market of the educational free mobile application (app) ‘BeSeen”. ‘BeSeen’ is an app that engages kids who are beginning to use social networks in a game about online safety when accessing social networking websites via their mobile devices. This type of social networking app is the first of its kind to hit the Android Market. ‘BeSeen’ was developed in collaboration with The Wireless Foundation and Trend Micro Internet Safety for Kids and Family, with additional funding from The Verizon Foundation. ‘BeSeen’ was created to enable kids around the world to learn how to use social networks safely and responsibly. The app’s content and puzzles have been updated since its original launch to the iTunes Store on October 12 where the app is also available for download. ‘BeSeen’ is a single-player game that simulates a social networking site where players create a profile and travel through a condensed school-year, with each game day equaling a fraction of a minute in real life. To earn awards, the player must make positive choices when presented with challenging social situations and solve puzzles along the way. The game is designed to help kids understand responsible online behavior such as securing their personal information, protecting their privacy and defending their peers against cyber bullying. A video demo of the game has been posted to the website here. BeSeen has already received an overwhelmingly positive response from its initial release to the iTunes store. BeSeen presents an opportunity for children to see how to best handle social scenarios that come into play when signing up for a social networking website. As many as 7.5 million Facebook users in the U.S. are under age 13 -- a violation of Facebook's user policies -- according to a new study by Consumer Reports reported by Ad Age. .
“Despite their popularity, social networking websites saddle children with risks to their privacy and personal information, particularly when these sites take bold and sudden actions to share and publicize the data of their users. Our latest collaboration is intended to raise cyber awareness and digital literacy in children before they face such risks and to guide them towards being responsible online citizens.” says Dena Haritos Tsamitis, director of the Information Networking Institute and head of education. 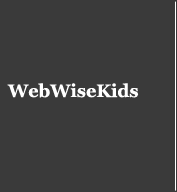 Web Wise Kids (WWK) is a national non-profit organization, “Dedicated to promoting a culture of safety, respect and responsibility for youth and families in this digital world.” WWK does this by creating and distributing interactive content through the same media in which kids and adults live their lives. WWK programs have reached over 10 million youth and thousands of parents nationwide. For more information on Web Wise Kids or to make a donation, visit http://www.webwisekids.org/donate. Follow Web Wise Kids on Twitter at @webwisekids, Facebook at http://www.facebook.com/webwisekids or YouTube at http://www.youtube.com/webwisekids.